Visit the Microsoft Fix It printing problems page and click “Run Now”. Choose to run the program now, or choose a location to save the file, then double-click to open it. Agree to the license agreement by clicking the “Agree” button. Click the heading for “Detect problems and apply the fixes for me”. The program will run diagnostics and attempt to find patches, drivers and other solutions to solve the printing problem for you. It will also check for any services or Windows components that are not operating properly. Once the process is complete, you will see a list of problems, such as “Print spooler service isn’t running”, and the program will tell you whether it has fixed the errors. With any luck, all of the errors will have been fixed, and you should now be able to resume printing. If your problem is still not resolved, you may wish to try other troubleshooting steps, or contact the manufacturer of your printer or a local repair shop for more assistance. 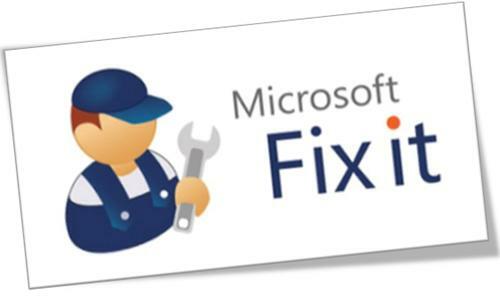 The Microsoft Fix It program can solve many other types of problems, such as crashes, installation problems, and more. You can visit the Microsoft Fix It Solution Center page, choose the type of problem you are trying to solve, and follow the same process as above to attempt to resolve the errors. With this very useful tool, you may be able to save yourself hours of trial and error, or even costly repair bills, while resolving your issues in a few simple steps.